There’s no need to keep blowing money from hard-pressed hospital budgets on paper towel facilities or have faith in old and energy-guzzling hand dryers. Hospitals can make big savings in staff and visitor washrooms by investing in new and more efficient hand dryers. With finances under severe and continued pressured, every step taken to reduce costs can help to free resources for patient care. Historically, paper towels have been used in hospitals and clinical areas because of potential hygiene issues with older models of hand dryer but new technology has effectively dismantled this argument. And disputes about whether paper towels are more cost-effective than hand dryers have been made so often that it’s tempting to reach for the off switch on this but by now it’s well understood that hand-drying with paper is too inefficient to be worth investing in any longer. 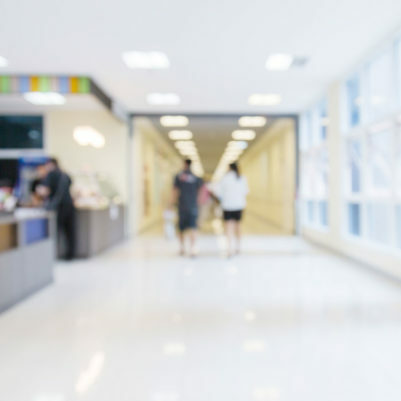 Paper towel dryers are an expensive washroom solution in any setting but particularly in a busy hospital where thousands of £s are drained every year through costs of purchase, cleaning, maintenance and disposal. In contrast, a hospital that replaces the expensive paper towels with efficient new hand dryers can cut annual costs massively while improving hygiene. One main saving is in the amount of time cleaning staff spend to replenish and maintain the paper towels and dispensers. This time can be used far more effectively in other areas. And there are benefits for the environment as well. 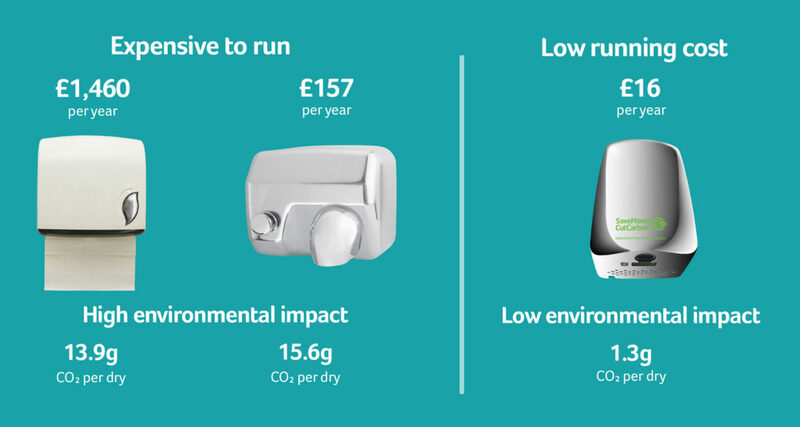 A power-efficient eco hand dryer has an average annual running cost of £16 and produces two-thirds less greenhouse gases than paper towel facilities. The CO2 emissions are not only from electricity consumed but also transport delivering the towels, as well as collecting used towels, the costs of producing towel dispensers, waste bins and bin liners. Used paper towels can rarely be recycled and either end up in landfill or are burned in incinerators. The negative impact of power towels on the environment goes wider and further – for example, it takes 17 trees to produce a tonne of towels. The choice of using recycled paper towels is hardly any better. According to a Massachusetts Institute of Technology study, recycled paper towels have the same negative impact on the environment as new paper towels, including water consumption and carbon emissions. 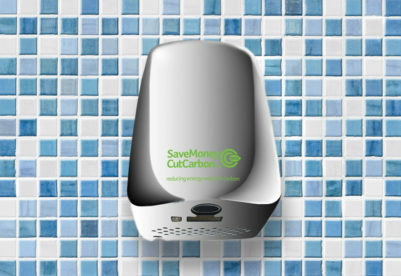 The MIT research indicated that over its working life, an efficient hand dryer would save 24 trees from having to be chopped down and processed into paper towels. Hospitals that still have aged hand dryers are also consuming more energy than necessary. The veteran hand-dryer models are very inefficient and can take too long to dry hands, as well as having all the issues around hygiene. 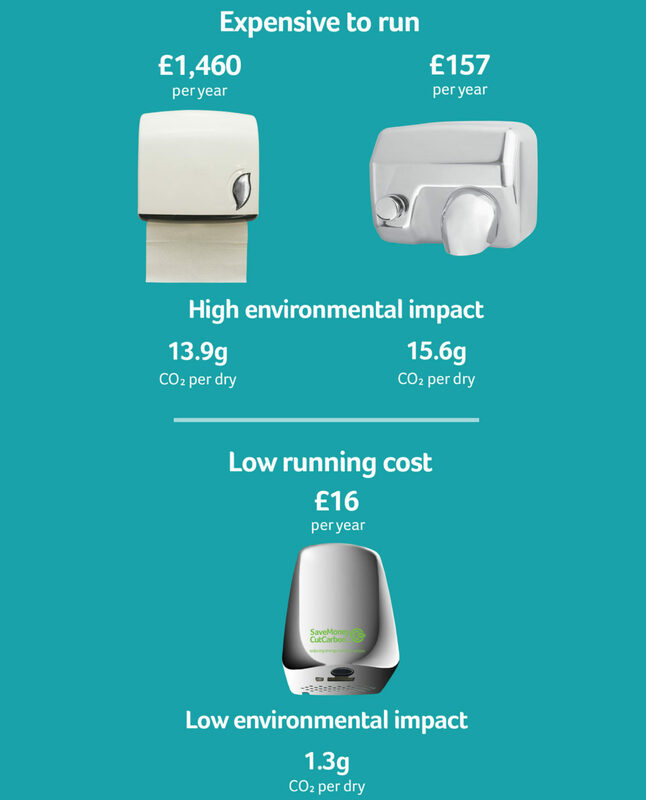 Each traditional hand dryer in a hospital setting would cost around £126 a year to run and these old dryers are button-operated and often do not have filters to clean the air and so can be less hygienic.